The treatment of side effects and adverse reactions of vaccinations by means of traditional homeopathy is an important topic in homeopathic practices. Early treatment by means of traditional homeopathy is highly recommended if there is discomfort after a vaccination. It is a way to reinstate the balance that has been disrupted by the vaccination and in many cases can achieve improvement or even heal. As one of the few modes of treatment homeopathy is capable of incorporating underlying causes (i.e. the vaccination) into its therapy regimen. The question arises how one should treat these kinds of pathologies? In the literature you will find a large number of approaches. However, some of these have nothing to do with the philosophy of homeopathy. In particular the term “homeopathic vaccinations” keeps recurring which will be treated in detail in a later section. Thuja as a kind of cure-all for effects of vaccinations and continues to be very popular. The following section lists potential effects of vaccinations which frequently do not occur until weeks, months or even years later, when it is either no longer possible to see a causal connection to the vaccination or it is described as not having a connection to the vaccination. Therefore every case must be clarified homeopathically to see whether there is a connection to the vaccination or not. · Encephalopathy = disease of the brain (This is a brain edema caused by a vaccination primarily concerning children less than three years of age as they can react to vaccinations with an inflammation due to the fact that their brains are not fully developed yet) Encephalopathy is frequently overlooked as it is not always connected to manifest symptoms. But frequently there can be later cessations of the development. Encephalopathy can also be one of the causes for Cri encéphalique. · Triggering of allergies such as asthma skin allergies, hay fever, food allerges, etc. Frequently you meet up with patients in your practice who say they do not want to be vaccinated but who then mention that they’ve heard of something called “homeopathic vaccinations”. What does it mean, they wonder. These are high-potency vaccinations given patients as prophylactic measures. Example: Patient is given a tetanus nosode and is then allegedly protected against tetanus. Aluminium phosphate, isotonic sodium chloride solution, a trace of formal dehyde. A mixture then of mercury, aluminum compounds, formal dehyde and tetanus poison. And the patient receives this mixture potentized. So what is the consequence? The patient, who is not sick, is subjected to a of drug study on account of the fact that the compound was not selected homeopathically (homeopathic selection means that the patient experiences symptoms that are similar to the symptoms of the homeopathic compound; we don’t, however, know the symptoms of potentized vaccines). The patient feels a false sense of security. He has been informed that he has been “vaccinated” and thus he believes that he has an effective protection against the tetanus toxide. But a vaccination nosode will not lead to antibody formation in his body. Antibody formation is based on a different set of rules. The administration of vaccination nosodes as a prophylaxis is thus deemed to be grossly negligent and is certainly not part of traditional homeopathy. PVS(post-vaccination syndrome) is essentially diagnosed on the basis of carefully chosen questions directed to the patient or his parents. The practitioner should always consider seriously a diagnosis of post-vaccination syndrome whenever the complaints started at the time of, or in the period following, vaccination and a special treatment should be implemented as a first line of approach. This is to obviate an endless and ill-fated stream of examinations and therapies. Where positive results are achieved the suspected diagnosis of PVS is confirmed. Only as a second resort, if the patient does not benefit fully from the treatment implemented, should a follow-up diagnosis be made. Case 4 illustrates how wearisome this process can be. Because of its high degree of reliability and efficacy, this method offers an excellent opportunity for establishing the cause of certain illnesses. One can trace step by step the vaccine, medicine or illness that has caused the complaint. This scheme also allows us to find the cause of the often discussed ‘Jungle syndrome’, a syndrome which has claimed so many young soldiers as victim and for which traditional medicine can offer neither an effective diagnostic procedure nor a satisfactory therapy. The case of Johan, a 19-year-old seaman, is a clear example of such a diagnostic and therapeutic procedure. See case 5. The homeopathic method as applied in the treatment of vaccination damage consists of administering four successive remedies of the suspected vaccine. Each course consists of the following dilutions 30, 200, 1M and 10M. The duration of a remedy course depends on the severity of the problems and the reactions of the patient and can vary from 2 weeks to 2 months. Potencies should be repeated until no further improvement is seen before passsing to the next poetency. This method was introduced byTinus Smits. Sabina was almost two years old when I met her in March 1997. Her discomorts started when she started attending a childcare center in November 1996. She had colds, coughs, vomitting and diarrhoe. At this point she has had three courses of antibiotics – in November, December and January. In late November she had a case of the measles. After an uncomplicated pregnancy Sabina was delivered by caeserian section. She was breast-fed for seven months. She received vaccinations according to the standard regimen. After two DKTP/HIB-vaccinations she suffered her first cold, her last MMR [measles, mumps and German measles] -vaccination in July 1996 did not cause any noteworthy reactions. It was not until three months later when she started attending a childcare center three times a week that the problems start. Her mother describes her as being a typical Aries, who bashes her head against the wall, is short-tempered and gets mad if she does not succeed with something immediately. Sabina is inquisitive, happy, and restless and does not sleep well. She has a hard time saying good-bye. She reacts violently to pain, she talks a lot and she has the tendency to touch everyhing. She is affectionate and frequently uses her pacifier. She is very pale and does not eat well. She does not like warm food but does like bread. She likes eating in between meals. She drinks a lot and drinks even more when she is sick. Cancer is prevalent her mother’s family, three generations back. On her father’s side it is diabetes. Obesity occurs frequently on the father’s side. From a homeopathic point of view she is a clear Saccharum type and I prescribe Saccharum officinale 200K, one dose every two weeks. The child obviously has a weakened immune system. Sabine is an only child and has not had a lot of contact with other children. That is why problems don’t arise until she has attended a childcare center. Ten days after the treatment has started the mother calls me due to Sabina’s problems having become worse and Sabina having a temperature of 104. I prescribe Saccarum officinale 30K as a watery solution, every hour a sip, but the next day the child is even more ill and the mother is really worried. When I examine Sabina it turns out that she has a middle ear infection on both ears. Her lungs are not affected. I come to the conclusion that an unknown factor is blocking and superimposing the effect of the constitutional compound (saccarum offiniale). From a factual point of view saccarum is not capable of improving her immune system so that there must be another reason for her bad immune system aside from her consitution. From experience I know that vaccinations are frequently the most common reason. Sabina’s short life should not have been affected by anything else yet. That is why I start removing the damaging effect of the last MMR vaccination three months earlier. The effect of the watery solution of MMR 30K is that Sabina sleeps well that night and is rid of the fiever the next day and starts getting much healthier. A few weeks later the dejamming of the MMR vaccination is done with higher potencies followed by DKTP and HIB vaccination. Thus Sabina’s vaccination damage syndrome heals completely and the parents realize that Sabina had been destabilized a few weeks before she started attending the childcare center, even though it had not been apparent due to infections. The child’s joi de vivre has increased significantly and Sabina is a lively child again, a child that feels good and which is nice to have around. At any rate it must be clarified to what extent the vaccination nosode is suitable or not. Primarily, treatment with the constitutional compound is to be preferred. At times the mere detoxification of the suspected vaccine proves to be the solution of the case and mostly it is a first step to cure. Rik (4 ½ years ): diagnosis autism. He had been a perfectly normal child until the MMR vaccination at 16 months. He had developed rapidly, had been able to go up and down the stairs by himself. In the first week after his MMR shot he relapsed rapidly, mentally as well as physically. His behavior changed dramatically: he became aggressive, was uncontrollable at the daycare center, made screeching noises, withdrew from strangers, his speech completely disappeared and his physical development stopped and even relapsed. He became a poor sleeper; eye contact was no longer possible; his pupils were fully contracted and no longer responded to light; there was no way to correct him, he had soft stools and frequent nosebleeds. After five series of potentized MMR much has been accomplished. His pupils react to light again and eye-contact is reestablished; the nosebleeds have stopped; he sleeps well again. He has resumed speaking and forms two or three word sentences. He is once again aware of and responsive to his environment, for instance at one point he suddenly became afraid of seeing a mother duck with ducklings whereas before he never had shown any response to such a scene. He is able to reach out and make contact. He hugs his parents and people he loves, he comforts his sister when she cries. His restlessness is gone and he is able to follow instructions. His fears have decreased and his self-mutilating tendencies have completely disappeared. During each potentized MMR series he screamed as when he received the original MMR vaccination, but afterwards he steadily improved. He is back to being a normal child, the veils have been lifted. Even though the treatment is probably not standard homeopathic practice it is very frequently successful. This treatment with vaccination nosodes should be focused on first, followed by a treatment with the constitutional remedy. As mentioned above, vaccination effects and vaccination damages are very multifaceted. Treatment depends on the prior treatment of the patient and also on the acute symptoms. If a patient receives a vaccination during a constitutional treatment and if he reacts to it, then the constitution treatment should be repeated. In many cases the symptoms will disappear. If on the other hand there is no healing, the vaccination has probably caused a new layer of illness that then requires special treatment. 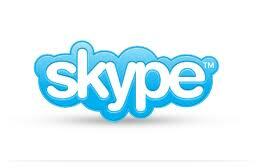 If you are interested in a consultation, I am offering video consultation using Skype. Please contact me and we can arrange a time for an appointment. A list of international therapist for vaccine damages can be found under international therapist for vaccine damages in the link section. These therapists are treating vaccine damages according to the CEASE guidlines, a method which was introduced by Tinus Smith, a homeopath out of the Netherlands. A large number of vaccination effects, in particular those that have a chronic course, are due to mercury which is contained in certain vaccines. It is therefore important to observe patients for the symptoms listed below. Inability to read and memory lapses. . Acute phases of sicknesses frequently necessitate extra measures in order to be able to overcome the sickness quckly and to minimize the danger of complications. Make sure the food you are eating is rich in nutrients. Raw food is the most beneficial. Due to the fact that sick people frequently are not very hungry raw juices are recommended. Under no circumstances should you force yourself to eat if you are not hungry. Fresh food contains vital enzymes that have a very beneficial effect on combatting infectious diseases. Drink enough liquids. When you have fever it is necessary that you drink even more. In times like this your body requires 3-4 liters. Mineral water, herbe teas (linden blossom tea makes you sweat) or diluated fruit juices (only freshly squeezed juice on account of the enzymes). If you have fever, go to bed and rest. The body needs to rest at it is mobilizing all of its forces to combat the disease. If you continue to run around, the body will be even more stressed and weakened. Hands and feet should always be warm. The feet in particular have a reflectory connection with the throat and if you have cold feet, you weaken your throat. If necessary, take a warm footbath. The footbath stimulates the circulation and thus the metabolism and transports the toxins out of the body faster. Throat compresses have proven very useful if you have a strong sore throat. The farmers’ cheese withdraws toxic poisons from the throat and also has a cooling effect. Just spread 1-2 centimeters of farmer’s cheese on a cloth (paper napkin) and place it on the front part of your neck. Wrap a woolen cloth around it. When the compress has warmed up about 20 minutes later, it can be substituted. Be sure to throw the farmers cheese out. Inhalations with salt water promote coughing up phlegm to clear up the airpassages. Take hot water and diluate 1-2 tablespoons of salt in it, bend your head over the pot and place a towel over it so that the hot steam does not get out. Inhale for about 10 minutes. You can repeat this several times a day. In order to lower high fever you can place compresses on your calves, but not unless the fever is higher than 38°Celsius. The body needs the fever to fight the disease better. The body should be hot. If you want to place compresses on your calves, dip a cotton cloth in cold water, wring it out and wrap it around your calves. Then wrap another dry cotton cloth around it, followed by a cotton towel. Do the same on your other leg. Then cover up and wait until the wet compresses start to warm up ahain. You can repeat the whole procedure 2-4 times until you start feeling better.